Sorry I've been out of commission for a while preparing for our son's homecoming on Friday. He has been in Spain for 9 months teaching English. I did have time to finish this little painting which is up for auction on eBay right now. What a "sweet" way to help celebrate the 4th of July! 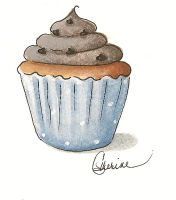 A yummy milk chocolate cupcake is topped with fluffy marshmallow cream frosting and patriotic sprinkles. The American flag is the perfect topper for this patriotic dessert! A cute red and white dotted ribbon is wrapped around the edges and tied in a bow at the top. 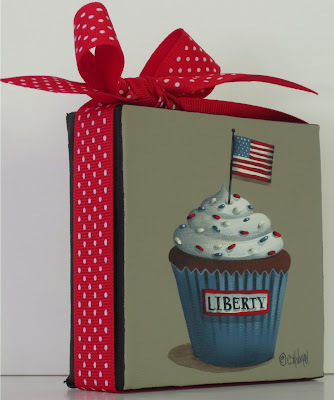 How do you decorate for the 4th of July or do you decorate for the 4th? Gosto de seus trbs , sao lindos!!!! 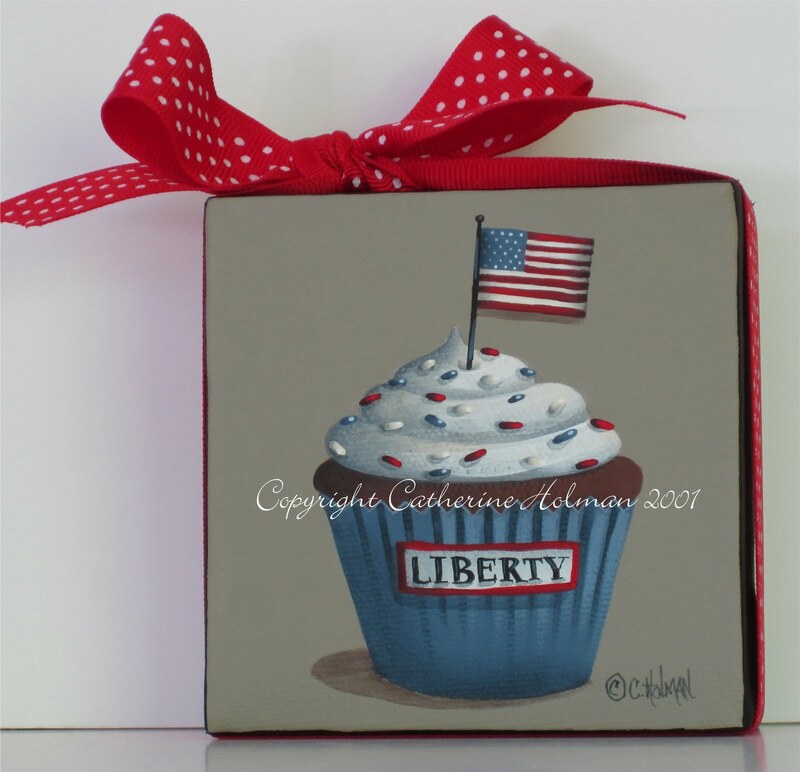 Cathie, love this cupcake-very appropriate for the 4th! Wonderful in fact!! Glad your son is coming home from Spain-enjoy visiting! Catherine, I love your liberty cupcake...so sweet. I'm so happy for you that your son is coming home tomorrow, you must be so excited. Enjoy your time together and your holiday. Be safe and happy. Your son is home on holiday? Oh wonderful! I'm so excited for you all. Have a wonderful 4th! What a joy to have your son home!